“Coming to America” Sequel is a Go, But What's the Story? According to sources, the classic is back for a second time. The wait is over! 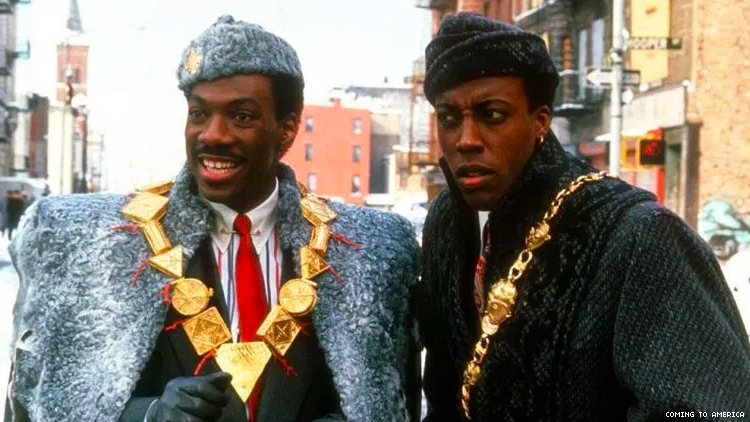 Paramount Pictures has hired Barry Blaustein and David Sheffield to write Coming to America 2. The part two to the John Landis-directed original will be directed by Craig Brewer. So far writer Kenya Barris (Black-ish) is on board, but most importantly, Eddie Murphy is “involved and expected to star,” says Shadow and Act. According to Deadline.com, in the sequel, Akeem learns about a long-lost son, and must return to America to meet his unlikely heir to the throne of Zamunda. The intention is to bring back the original cast which includes Arsenio Hall as Semmi, the prince’s aide, Shari Headley, who went on to become the prince’s wife, and John Amos, her father. The sequel will also bring back James Earl Jones, who played the king. Are you as excited as we are for Coming to America 2?